I realize that while this is supposed to be a blog about jaguars, nearly all of my posts have either been about myself or other species. Therefore I have put together a basic list of facts concerning jaguar ecology and conservation. This is by no means a comprehensive description of Panthera onca. 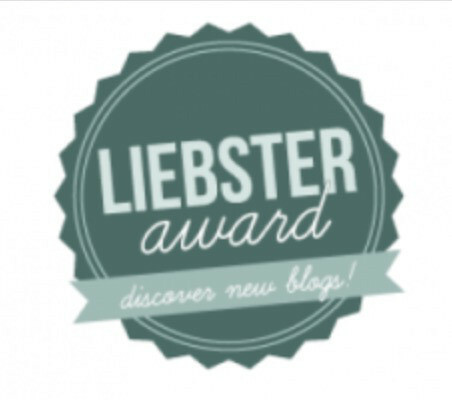 If you wish to learn more, I recommend consulting the sources in this site’s References section. 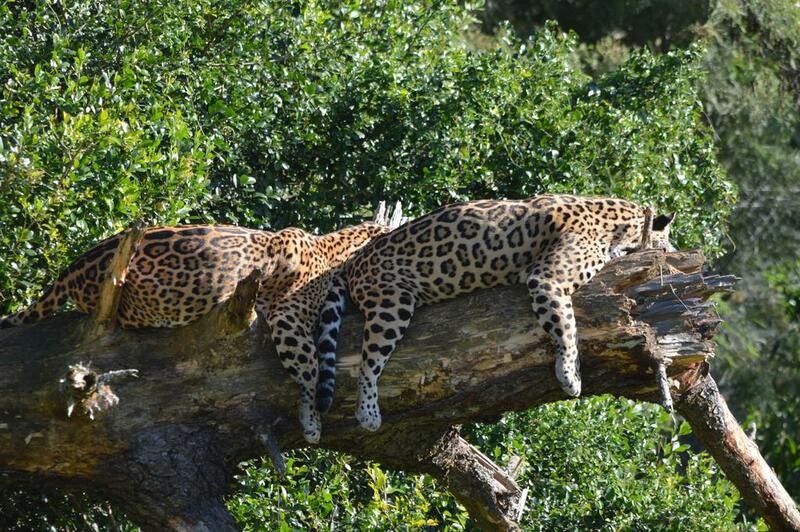 Jaguars are the largest cat in the Americas, and the third largest in the world. Their size varies considerably across their range. Male jaguars typically weigh between 68 to 121 kg (150 to 267 lb), whereas most females have been recorded at 51 to 100 kg (112 to 220 lb) (Macdonald, Loveridge, & Nowell, 2010). 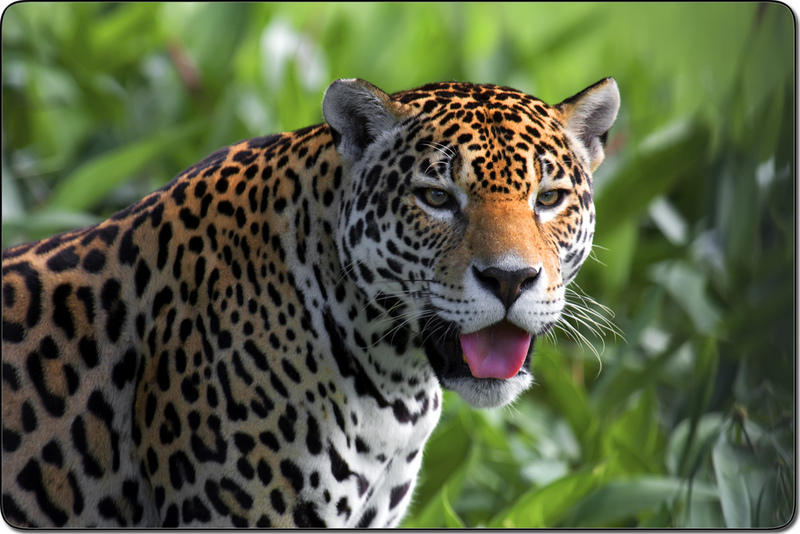 The largest jaguars are found in prey-rich areas such as the Brazilian Pantanal, while residents of Central America (Foster, 2008) and the U.S.-Mexico borderlands are much smaller (Northern Jaguar Project). 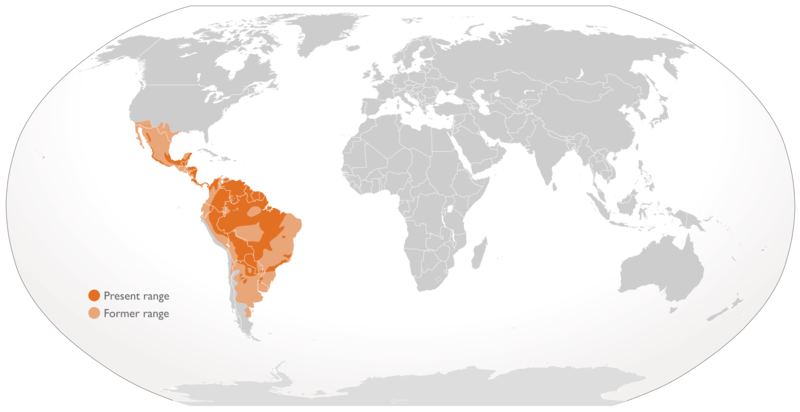 Jaguars once ranged from the southern United States down to southern Argentina (Caso et al., 2008). Unfortunately they have since been eliminated from 54% of their former territory (Macdonald, Loveridge, & Nowell, 2010). They are extinct in El Salvador and Uruguay, and are highly threatened in large parts of Brazil, Argentina, and Mexico (Caso et al., 2008). Until 1996 jaguars were considered extirpated (locally extinct) in the United States, but they may be returning (Mahler, 2009; Rabinowitz, 2014). Jaguars are adaptable animals that can utilize a wide range of habitats. They have been recorded in wetlands, rainforests, grasslands, deciduous forests, and various forms of dry scrubland. However, they prefer areas at lower elevations that are near water (Caso et al., 2008; United States Fish and Wildlife Service [USFWS], 2012). They also tend to avoid open terrain (Foster, 2008). The jaguar is listed as Near Threatened (NT) in the International Union for Conservation of Nature (IUCN) Red List (Caso et al., 2008). This means that while it is not as imperiled as lions or tigers, current trends are not encouraging. Indeed, according to Macdonald, Loveridge, & Nowell (2010) many of the most critical Jaguar Conservation Units (populations identified as important for the species’ future) have poor long-term prospects. The primary threats to jaguars are habitat loss, reduction of wild prey, and direct killing by humans (Caso et al., 2008). All three of these are inter-woven. 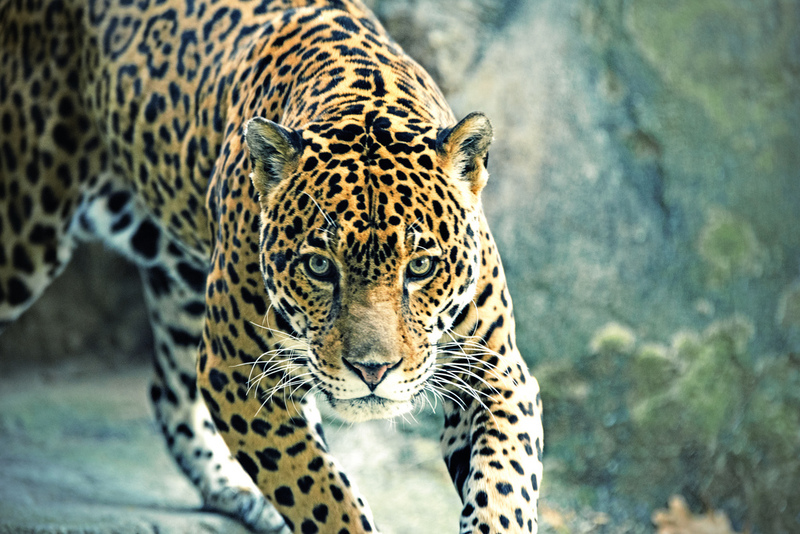 As human populations expand, jaguar habitat is lost and natural prey depleted. These factors, along with others, often lead jaguars to hunt livestock. Local people therefore kill jaguars to protect their livelihoods; an activity referred to as retaliatory killing. But I take issue with this terminology, as it may oversimplify the matter (Marchini & Macdonald, 2012). I will discuss this more in future posts. Of particular concern is the fact that jaguars are now being targeted for use in Traditional Chinese Medicine (TCM) (R. Mahler, personal communication, June 17, 2015). TCM has decimated tiger populations, making this a highly problematic development for jaguars. Jaguars from behind by Jacques Rossouw. Obtained via personal communication. Given the above information, it should come as no surprise that mitigating human-jaguar conflict is a primary conservation goal. Another key strategy involves protecting jaguar habitat (Caso et al., 2008). Along this line, Panthera has launched a bold program called the Jaguar Corridor Initiative. Their aim is to establish safe travel routes between protected areas in Latin America, allowing jaguars to move freely between them. This would increase the species’ long-term fitness by encouraging healthy gene flow (Panthera, 2015a). Few other animals have been as widely revered as the jaguar. The Olmecs, Mayans, Zapotecs, and Aztecs all worshiped the jaguar as a god. Ancient jaguar imagery is also found throughout the American Southwest (Rabinowitz, 2014). The jaguar’s aura pervades modern society as well. Sports teams and automobile manufacturers don its name, and jaguar-related tourism is becoming big business. There are even individuals who spend countless hours blogging about jaguars, despite living nowhere near them. Something must be said about the jaguar’s powerful jaws. For its size, it has a stronger bite force than both lions and tigers. This gives it a signature killing technique: biting straight through the skull. When this fails, it simply crushes its prey’s neck vertebrae (Rabinowitz, 2014). But perhaps the jaguar’s most remarkable feature is its non-aggression towards people. Unprovoked, fatal jaguar attacks are almost unheard of (Rabinowitz, 2014). In fact no such incidents had been confirmed until 2008. While that event was certainly tragic, it is possible that the offending jaguar’s behavior had been altered by baiting for tourism (Marchini & Macdonald, 2012).